If you think that the newest version of Apple’s MacBook Air has been improved on in all areas, you might want to hold on to that thought. Some storage benchmark results indicate that the hard drives in Cupertino’s latest super-light laptops, which were made available just last week, run significantly slower compared to the 2013 versions of the MacBook Air, according to Macworld. As part of the tests, Macworld evaluated the new MacBook Air’s hard drives by using them to copy, zip, and unzip 6 GB worth of data. The test results indicate that last year’s versions of the MacBook Air are faster in all three tasks across the board. The 2013 11-inch MacBook Air took 28 seconds to copy the test files, while the 2013 13-inch MacBook Air took 34.8 ticks to perform the same task. 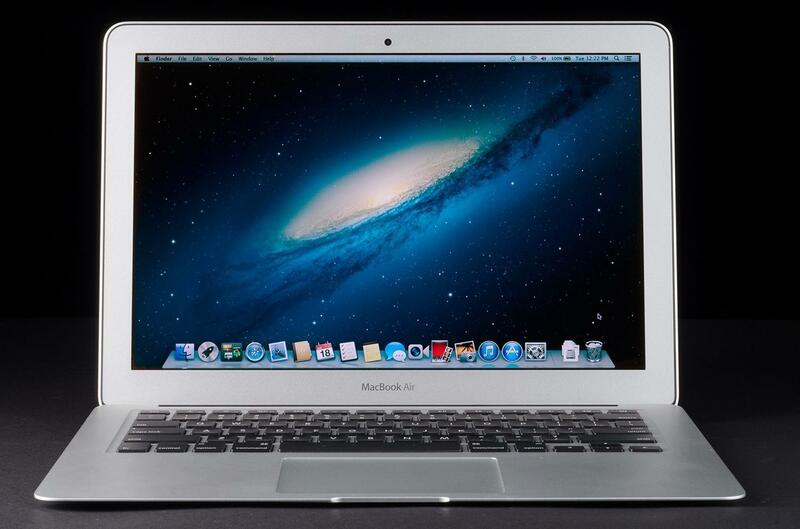 The 2014 11-inch MacBook Air took much longer than last year’s model; 53.9 seconds to be exact. That’s almost twice as long as 2013′s 11-incher. Meanwhile, the 2014 13-inch MacBook Air took 38.6 seconds to copy 6 GB of data. That’s nearly four seconds longer than its older counterpart. The older MacBook Air notebooks were also speedier when it came to zipping files. The 2013 11-inch MacBook Air took 370.8 (over 6 minutes) seconds to zip the 6 GB trove of data, while last year’s 13-inch Air took slightly less time to do so (367.8 seconds). The 2014 11-inch MacBook Air took 517 seconds (more than 8 minutes) to zip the same data, and the 2014 13-inch MacBook Air took 406 seconds to do so, which is almost 40 seconds slower than last year’s version. When it came to unzipping files, the patterns in the results were similar. The 2013 11-inch MacBook air was the quickest of the bunch, unzipping the 6 GB set of data in 43.5 seconds, while last year’s 13-incher took just a few seconds longer (46.6) to do so. The 2014 11-inch MacBook Air took over two minutes (127.1 seconds) to do the same thing, while the 2014 13-inch MacBook Air took less time than its smaller sibling (86.2 seconds), but still needed almost a minute and a half to perform the same exact task. That’s nearly twice as much time as the 2013 11-inch MacBook Air needed. Further tests revealed that the hard drives in this year’s refreshed MacBook Air laptops read and write data slower than last year’s models as well. It’s worth noting that almost every drive in these four laptops came from different companies. Two of them had Samsung drives, while one was sporting a SanDisk drive, and the other wielded a Toshiba SSD. It’s possible that Apple used cheaper drives in the refreshed versions of the MacBook Air, allowing the company to price them lower than their predecessors. The new line of MacBook Air laptops got a $100 price cut across the board when they hit the market last week.